New initiatives, new coaches and a goal to get back on top in some prominent youth competitions have the attention of USA Basketball Men’s National Team Director Sean Ford as he looks ahead to 2019. 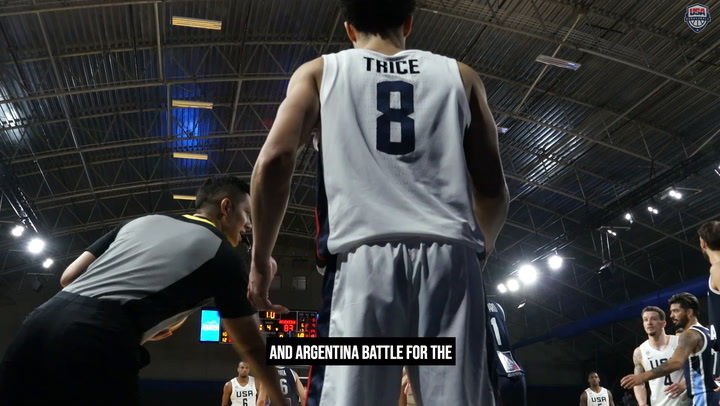 The USA World Cup Qualifying Teams, coached by Jeff Van Gundy and featuring six different rosters mostly consisting of NBA G League players, completed the qualifying window in February with a 10-2 record to successfully qualify the United States for the 2019 FIBA World Cup in China (Aug. 31-Sept. 15). 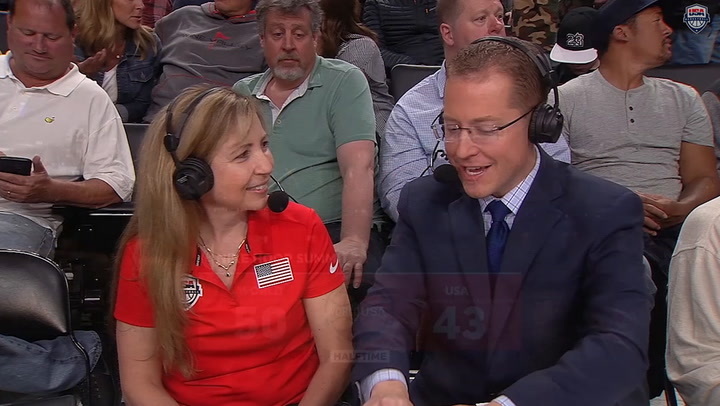 “At USA Basketball, our goal is to represent the United States the best we can in every basketball competition that we’re a part of,” Ford said. With the final World Cup Qualifying window now over, Ford and the USA National Team program will begin the process of inviting players to pursue a place on the 2019 USA World Cup Team. Ford said deciding on the final roster will be as difficult as it is in Olympic years. Ford said some of the NBA stars who take part in the Olympics choose to not play in World Cup years, which creates opportunities for other players who are part of the national team. While the heavy lifting in qualifying has been done by Van Gundy and his collection of players from the G League, it will be members of the USA National Team roster that are expected to comprise the United State's World Cup roster. The national team has been coached in major events by Duke University coach Mike Krzyzewski since 2006, but Coach K has stepped back into an advisory role, allowing San Antonio Spurs coach Gregg Popovich to take the helm as the USA Men’s National Team head coach for the 2019 FIBA World Cup and 2020 Olympic Games (should the USA qualify). Popovich has coached with USA Basketball in the past, including as an assistant at the 2004 Olympic Games, where the USA finished with the bronze medal. “He’s a great human being first and foremost,” Ford said of Popovich. “He’s just a great person. He’s a patriot. He served our country (in the Air Force) and loves our country, and he’s a great basketball coach. In addition to the national team, two other age-group level national teams will compete in prominent competitions around the world, including the FIBA U19 World Cup on the Greek island of Crete (June 29-July 7). After capturing back-to-back gold medals at the 2013 and 2015 FIBA U19 World Cups, the USA finished 6-1 and won the bronze medal in 2017. This year’s squad will be looking to put Team USA back on the top of the podium. The U.S. is 91-4 all-time in the FIBA U19 World Cup and has won three of the last five titles. Ford said another significant item on the to-do list in the opening months of the year is selecting coaches for age-group teams like the U19s. The FIBA Americas U16 Championship also will be contested June 3-9 in Belém, Brazil. The top four finishers will qualify for the FIBA U17 World Cup in 2020. 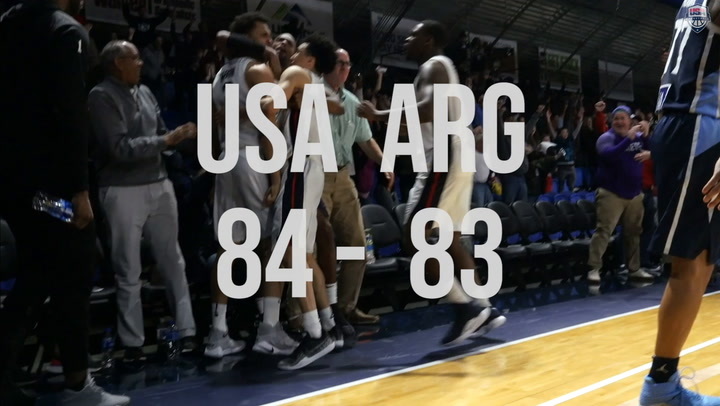 The USA is 25-0 in the U16 championship and has won five consecutive gold medals in the eight-team tournament that is made up of teams from North, South and Central America as well as the Caribbean. Ford said he is excited about new initiatives with the USA Men’s Junior National Team program this year. There will be a minicamp at the Final Four in Minneapolis for players who are in their freshmen to junior seasons in high school. USA Basketball will hold another minicamp at end of July for 20-22 of the best rising 9-12th graders in the country. The Nike Hoop Summit, an annual basketball game that pits top U.S. high school senior boys against a World Select Team comprised of elite international players who are 19 years old or younger, will again be held at the Moda Center in Portland, Oregon, at 7 p.m. (PDT) on Friday, April 12. Featuring 10 players who have captured at least one gold medal and 12 athletes ranked among ESPN’s top 53 players in the class of 2019, the USA Nike Hoop Summit Team will look to improve on the USA's 14-7 all-time record in the event. “Our team is very talented. We have a well-rounded roster that is filled with guys that love to compete. Our success will be largely dependent on how well we can play together and develop chemistry with just a couple days of preparation,” said Scott Fitch (Fairport High School, N.Y.), who will serve as head coach of the USA Nike Hoop Summit Team. 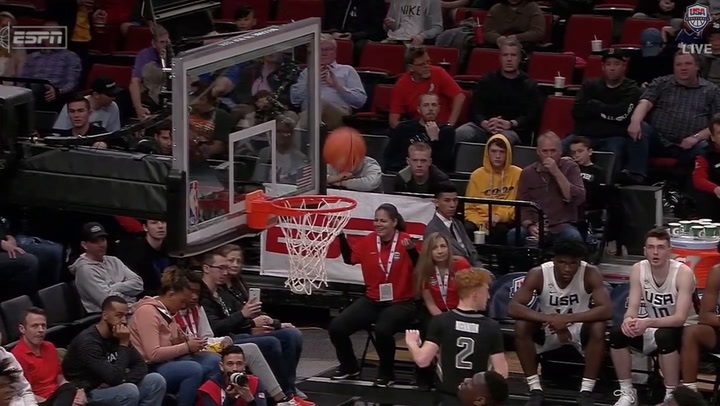 The legacy of the Nike Hoop Summit is reflected in the numbers. An incredible 217 former USA or World Nike Hoop Summit team members have been drafted by NBA teams, including 14 players in the 2018 NBA Draft. Twelve Nike Hoop Summit alumni have been chosen as the No. 1 pick, and 76 players have been selected among the first 10 picks. As of Nov. 6, 2018, a remarkable 118 Nike Hoop Summit alumni were active in the NBA, including 80 former U.S. players and 38 former World Select Team members. Ford said players don’t just focus on basketball in those junior national team experiences. 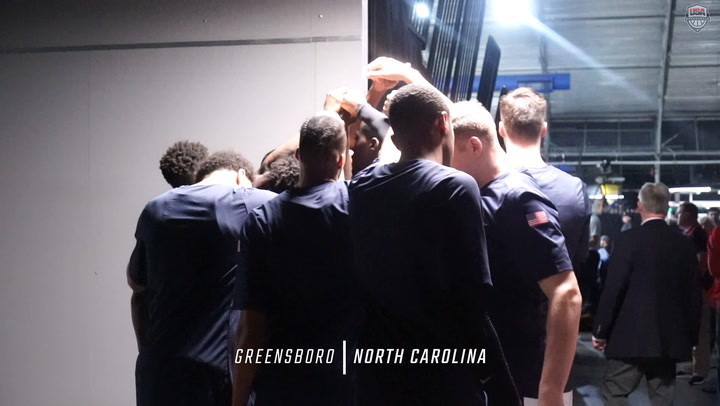 USA Basketball in partnership with the NBA, NBPA and the NCAA offers those players education in health and wellness, nutrition, recovery and life skills, such as stress management, time management and how to use social media properly. “Our goal is to really help the next generation of players who, if they do it right, will be in the NBA and drafted in the first round and give them a place where they can develop their game at a very elite level against other elite players,” Ford said. Kyle Ringo is a freelance contributor to USAB.com on behalf of Red Line Editorial, Inc.